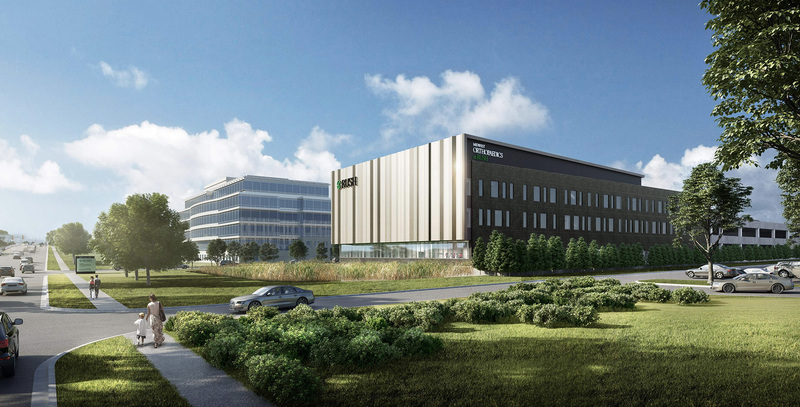 The approximately 100,000-square-foot, three-story professional building, to be located at 2011 York Road in Oak Brook, Illinois, will house an outpatient surgery center, offices for Midwest Orthopaedics at Rush, and offices for other faculty physicians from Rush University Medical Center. Midwest Orthopaedics at Rush will occupy the first floor with 16 patient exam rooms along with a cast room, physical therapy, occupational therapy, MRI and X-ray imaging, and durable medical equipment services for orthopedic patients. Rush's orthopedics program, Midwest Orthopaedics, consistently has been ranked among the top providers in the country, and it remains the highest-ranked orthopedics program in Illinois, according to U.S. News & World Report's 2017's "Best Hospitals" issue. On the second floor, 50 patient exam rooms and 7 procedure rooms will be used by Rush physicians representing 17 specialties.